Wow, missed the stream last night but that time is impressive twf & kevin! Qlex and clincher like this. clincher and Qlex like this. Yooooo that is getting pretty fast lol. Congratulations! 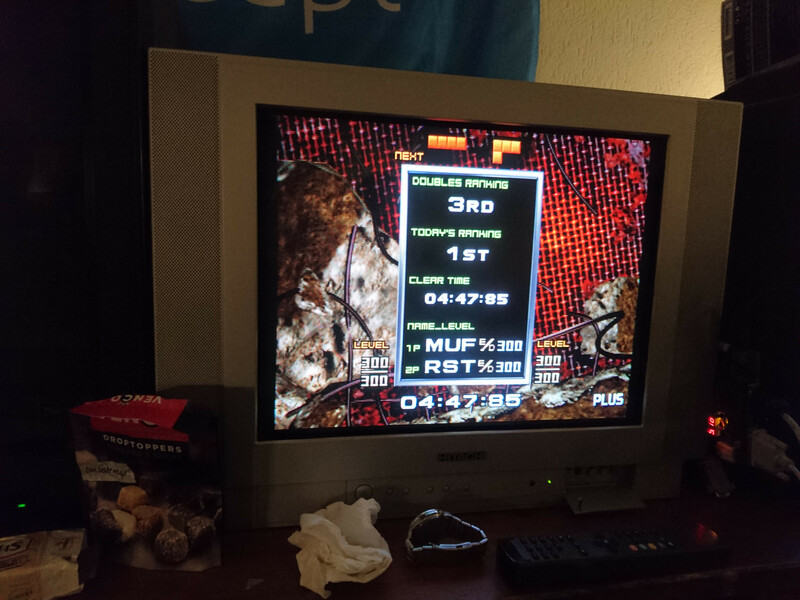 At ReplayFX in Pittsburgh, after watching Kitaru clear it solo, caithness and myself gave it a go. 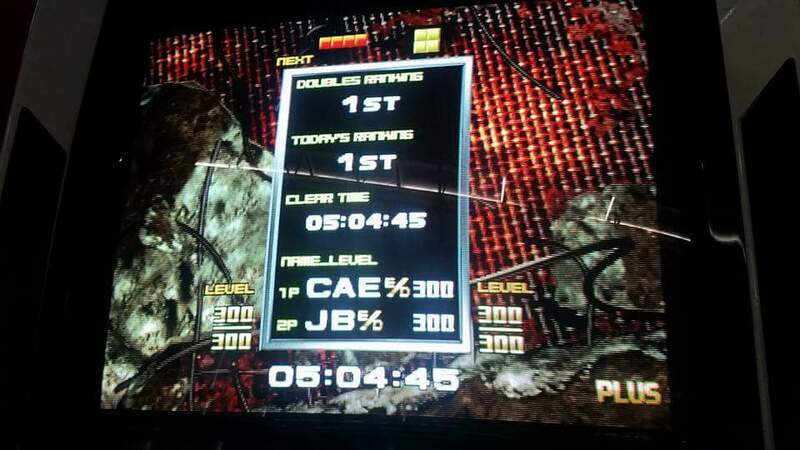 It was my first time playing, but we cleared it! My sister and i have been playing (mostly on my clone). Our first clear was 7:03 and we've worked it down by half minute increments to 4:38.51. Definitely still feels like we have time to save. A modest improvement on our clear time. 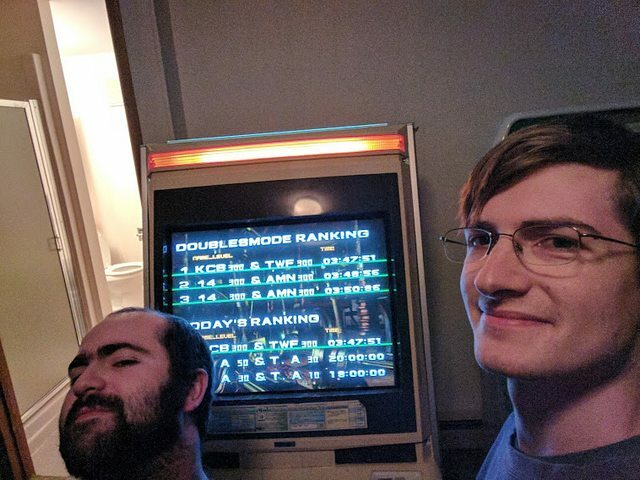 I haven't submit any scores here for a while, but here's something from the Twitter backlog: in January my girlfriend (Chronatsu) and I rocked out a 4:19.66 (down from a PB of 5:03.23 just four days prior). I'm hoping to get the cab back in shape (problems with P1 controls, maybe wiring) and on a recording setup to get some more games in some time. EnchantressOfNumbers and Qlex like this. 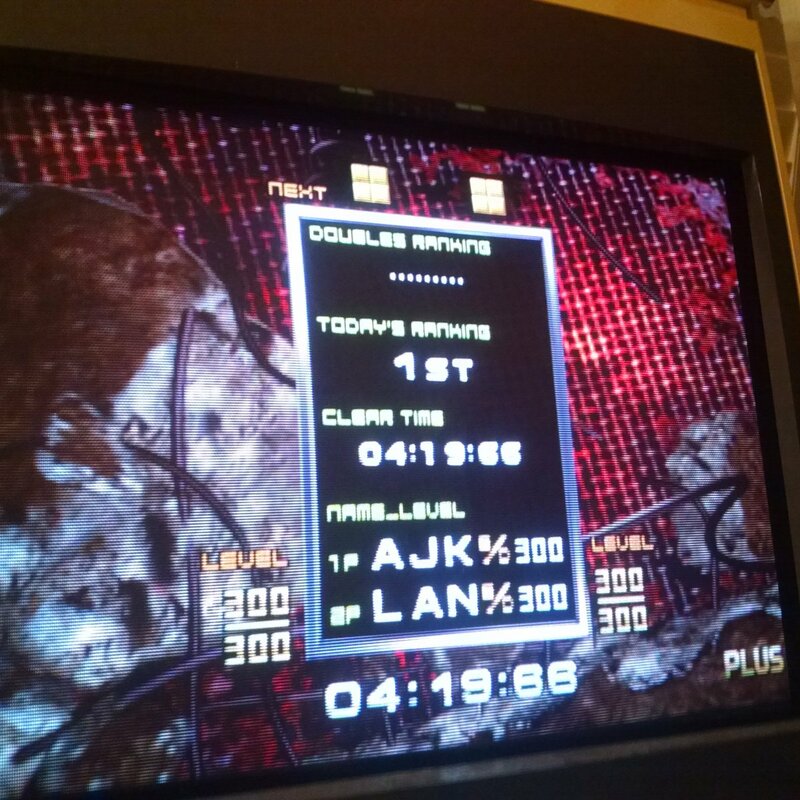 Meetups aren't complete without a doubles clear. A nice improvement for Caithness and I at ReplayFX. Another meeting of the "全作GM"s at Game in Ebisen. 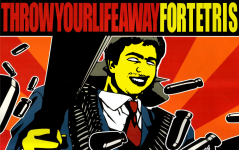 Tomorrow we strike back with recording equipment and much more time. The world record (3:22) is going down. Qlex, EnchantressOfNumbers and Oliver like this. JBroms and TGGC like this. TGGC, EnchantressOfNumbers, MaryHadALittle and 1 other person like this. 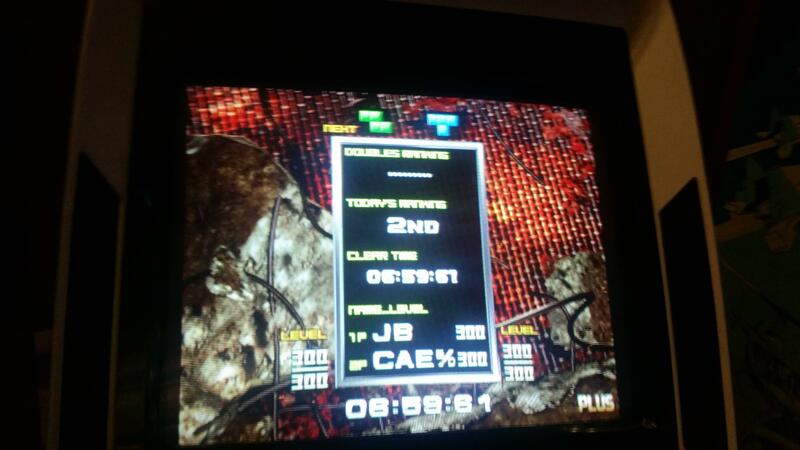 TWF - KCB in 3:34.86. PARTY MAN X, GyRo, iKantu and 6 others like this. I should mention that none of this would have been possible without the cooperation of TWF, who is honestly a great player who has never really explored his full potential. I understand why he stopped playing a while back, but I had always hoped I'd see him come back to the game in some form. Playing doubles together, it's very evident he has a great grasp of the finer points of piece placement in this game and a remarkable ability to read the setups we give each other. We've been playing almost every day lately for about an hour on stream and it's been really refreshing to attack the game in a new way. 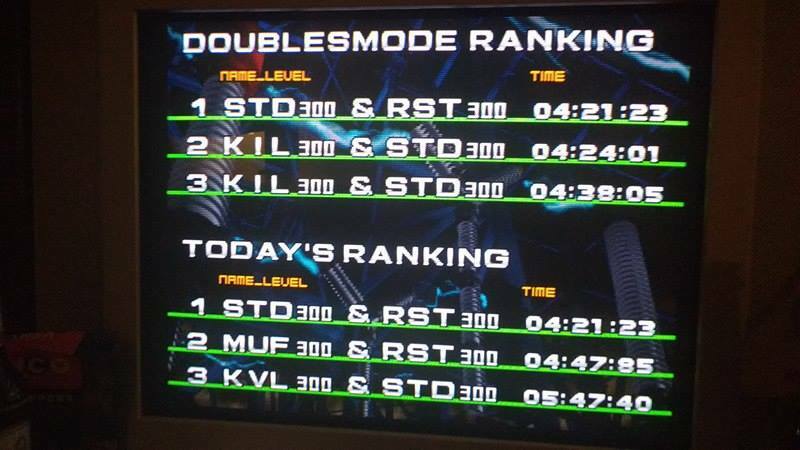 I strongly encourage any of you who have the chance to put some time into doubles to do so. It is kind of a buggy POS, but it still forces you to think about playing in an entirely new way which can be really exciting. 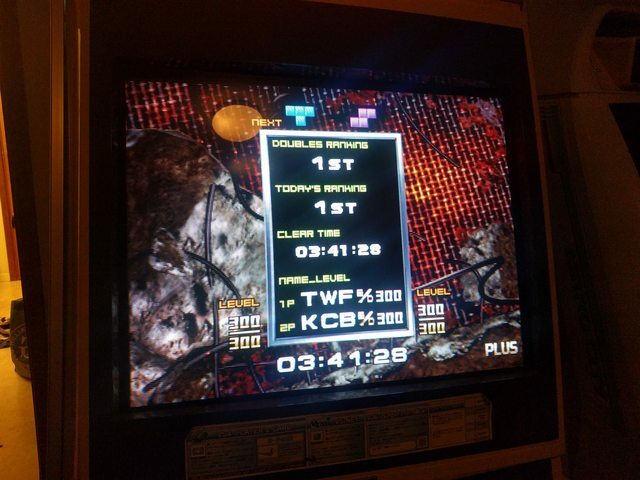 Anyway, it's great to have my TGM partner in crime of almost ten years back and I hope we can bring you a shiny new world record soon. FeV, GyRo, d4nin3u and 4 others like this.